Today, an elegant designed hotel is located in the 650 year old building. 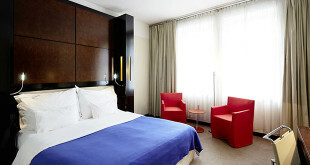 The 20 rooms offer every comfort, which guests expect of a modern hotel. 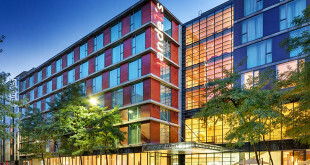 Nevertheless, the historical flair of the hotel is preserved despite the comprehensive redesign. 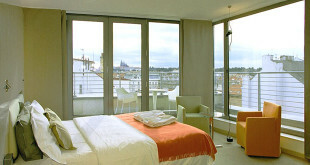 Exclusive, Luxury Hotel Neruda is just nearby the Prague Castle. It catches your attention by the attractive location as well as its hospitality. It arose from demanding and sensitive reconstruction of the historical building No. 44 built in 1348 which is at the end of Kings Road in Nerudova Street. Four-star hotel respect the present trends of modern hotel keeping and at the same time it organically fits to context and environment of historical Prague. It honours “genia loci” of Nerudova Street and especially Malá Strana. It is the sought-after calm oasis by people who are charmed by the magic of the old Prague. 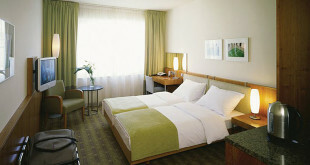 The fully air-conditioned hotel Neruda offers the accommodation in twenty friendly double bedrooms. All rooms are exclusively equipped and the apparent is a bathroom, minibar, a safe, direct phone and possibility of Internet, video and satellite connection in each room.